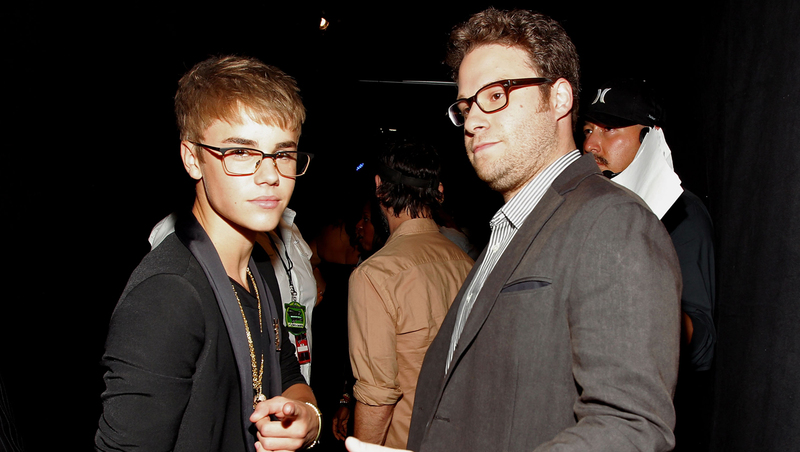 A war of words is officially on between Justin Bieber and Seth Rogen. Bieber has spoken out for the first time publicly over derisive comments made about him by the "Neighbors" and "This Is The End" funnyman. Seth Rogan sorry I didnt bow down when I asked 2 meet u was probably a bit shy and didn't want to be over the top but still. love ur movies. Rogen, who has been an outspoken critic of Bieber, told Howard Stern on Monday about an alleged encounter he had with the pop star several years ago backstage at a German talk show. According to Rogen, 32, Bieber asked to meet with him, and then acted as though Rogen had requested the meeting when they actually did get into the same room. "What the f--k, I don't want to meet you! Don't act all nonplussed to meet me. I didn't want to meet you. I was totally cool with not meeting you," the actor said he thought to himself at the time. "I was like, 'He's a little bit of a motherf--ker.'" But that wasn't the only bad experience. "I saw him again at like an MTV Awards show," Rogen added. "He literally had a snake wrapped around his f--king wrist that he was wearing, like a live snake as an accouterment." "I was like 'What the f--k?' I talked to him for like five minutes. I just remember thinking, 'F--k this kid.' I remember thinking, 'He's a piece of sh--.'" Rogen has also blasted Bieber on his Twitter account, most notably after the singer was arrested in January over an alleged DUI in Miami.